For those of you who don’t know, I am based at the Scottish Centre for Crime and Justice Research within Sociology at the University of Glasgow. Physically it is in Ivy Lodge, a small, 19th century building with cherubs up the stair and what appears to be an original Mackintosh nameplate on the door. Academically, collegially, it is a supportive, laid back, but stimulating work environment that I love. Everyone just likes everyone, there’s not strange divisions or fighting as you get in some academic departments, and I go to work each day feeling positive. 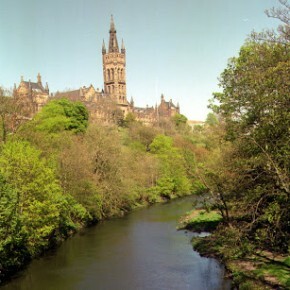 Going out a level, the University of Glasgow’s been good to me. They support my strange flights of fancy (hey, I deliver) and have let me carve out my own research and teaching programme. It’s a great place to work. This is a truly open call. There is no internal candidate. There is no secret area of focus. Nope, this one is open folks and up for the hungry, energised person who wants to make it theirs. I have absolutely no say or sway in the hiring for this position, but I can say that I would particularly love to work with someone who is involved in research related specifically to antiquities, wildlife, or art crime (an academic can dream), or to issues of white collar crime, illicit markets, transnational crime, etc. Have a look at our MSc in Transnational Crime, Justice & Security, does that seem to be your kind of thing to teach on? I’d love to have you around. Want to contribute to my PGCert in Antiquities Trafficking and Art Crime? I could use the help as we’re getting bumper numbers of applicants. Important: just because I am here doing art stuff/illicit markets stuff, doesn’t mean you can’t be here doing something parallel. Strength in numbers! APPLY. We get tops students in this area and I can see lots of opportunities for working together. Of course if you do something else entirely, still apply. I’m just longing for a dream collaborator here. I’m happy to answer questions about the research environment, just drop me an email about it! PS if you steal that Mackintosh name plate, my wrath will be mighty and I will HUNT. YOU. DOWN. PPS if you reveal to me that it isn’t an original name plate at all, you will make me cry and I will harbour a deep-seated resentment towards you for the rest of my days, even if you do become my colleague and I love you for everything else.